The stooges and I have been trying to go to Tipo 00 but we keep forgetting to book. So we finally decide to commit and made a booking 6 weeks in advance (yes, that was the next available time, I KNOW!). Dinner reservations finally rolled around and we were all so pumped to finally check out the infamous Tipo 00 and their awesome sauce pastas. The eatery is quite cosy and very warm and inviting. The staff were absolutely friendly and we were attended immediately as we walked in. We had our table for 2 hours before the next round but we were pretty sure that we’ll be done wayyyyyy before then. 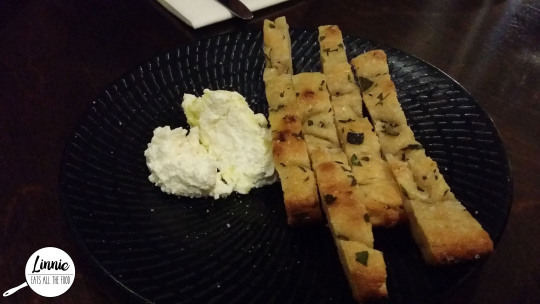 When everyone arrived and put all our orders in, we were presented with the complimentary rosemary focaccia with ricotta and olive oil drizzled on top. This was FANTABULOUS! The focaccia is home made (you can definitely tell) and the ricotta got me super excited for our dishes. 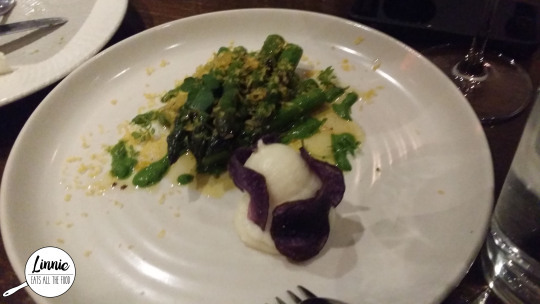 Our first entree was the asparagus dish with parmesan mousse since we decided that we needed something green in our diet. This was AMAZEBALL. The asparagus were cooked with a slight crunch and the rosemary and watercress gave it a subtle taste. The parmesan mousse was oh so fluffy and you can definitely tell that it’s parmesan. Definitely my favourite dish and a must order if you drop by here. 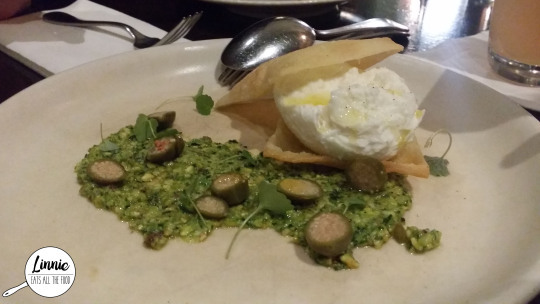 Next up was the buffalo mozzarella with pistachio pesto. This was pretty average and if you love pesto, this will give you a pesto hit. 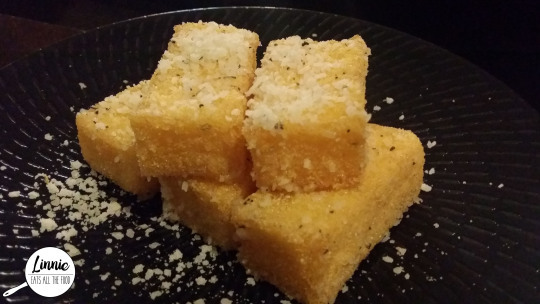 We also got the polenta fritta to share and these had a lovely crunch on the outside with a hint of rosemary. I think they need to up the salt a little bit but other then that, definitely hits the spot. Now that the entrees were over, that means it was MAINS time!! 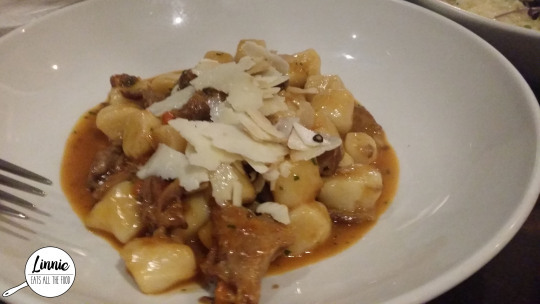 First up was the gnocchi with braised duck with porcini mushrooms. The gnocchi was beautifully made and very fluffy. The duck was so tender and oh so lovely. 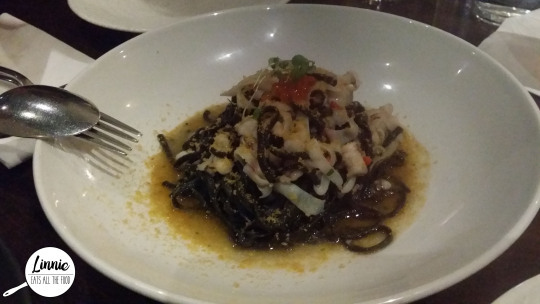 Miss Stooge 1 brought along her man, Mr Social Butterfly and he picked the squid ink tagliolini with squid. We found this to need a touch more flavor. The pasta, like every other pasta in Tipo 00 tasted AMAZEBALL and fresh but the flavouring just wasn’t there. We also found that it was a touch on the dry side and needed a bit more sauce. 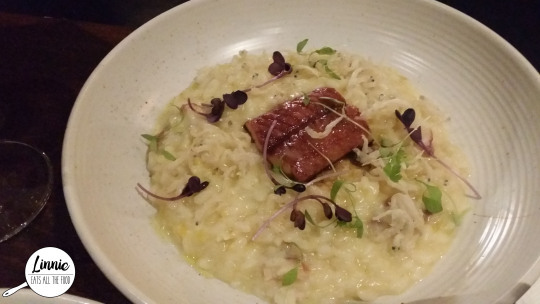 I’m a sucker for smoked eel so when I saw risotto with smoked eel, of course I just had to have it. THIS. WAS. THE. BEST. RISOTTO. EVER! Full stop. It was creamy, it was fluffy, the eel wasn’t too fish, just every was AWESOME SAUCE. This was the favourite dish of the night. We were stuffed by the time dessert rolled around but as everyone knows, there’s a second dessert stomach so we just had to rotate that tummy over. First up was the lavender, honey and rhubarb pannacotta. 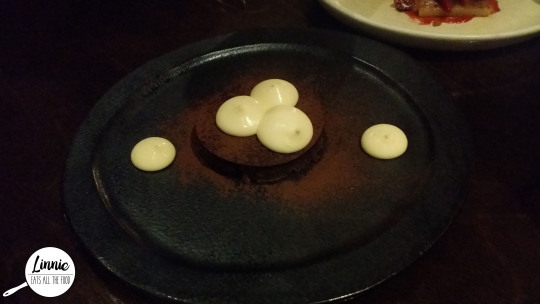 The pannacotta was very smooth and soft and you can definitely taste the lavender. The honey gave it a nice scent which beautifully tied in all the flavours. 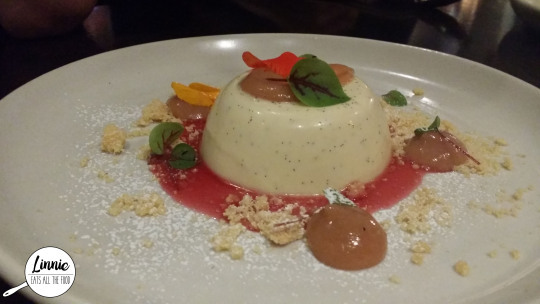 Definitely a great pannacotta dish if you’re into your pannacottas. Finally, the Tipo’s signature dessert, their own version of tiramisu, the TIPOMISU! Sure, we all laughed at the name but once it came out and we had a taste of it, no one was laughing anymore. THIS. WAS. MAGNIFICENT. If you’re a tiramisu kinda person, this tipomisu is your kinda dessert. 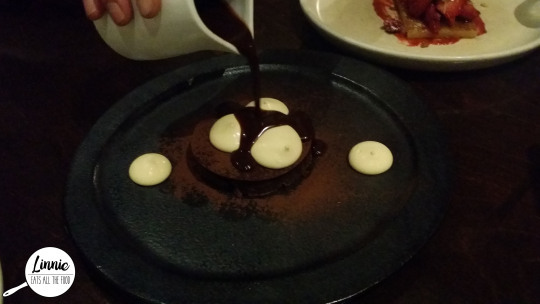 Definitely a must if you are a dessert lover. 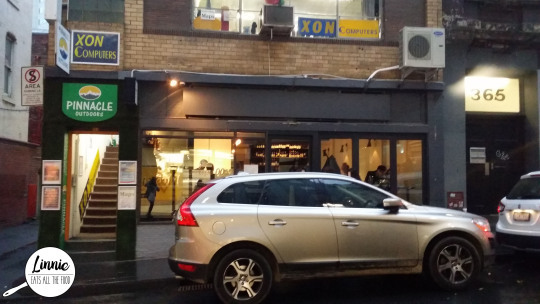 Tipo 00 is a pasta bar which you must definitely need to check out if you love your pastas and love a place that makes them fresh. The desserts are phenomenal, the asparagus was top notched and if you need to impress your date, this is the place to go to. Will definitely come back Tipo 00, you’ve won my heart.